LeeAnn Cahoon Knight ’17 joined the Office of Admission in June 2017, just after completing her bachelor’s degree in exercise science. LeeAnn has been Huntingdon’s most accomplished women’s golfer to date—the first Huntingdon woman to make the NCAA-Division III National Championships. She holds the 18, 36, and 54-hole record scores for Huntingdon women’s golf, was Freshman Newcomer of the Year in 2013–2014; Player of the Year, All-Academic, and Second Team All-American during 2014–2015; USA-South Athletic Conference Academic Team in 2016–2017. During summer 2016 she earned medalist honors during stroke play and advanced to the consolation semifinals of the Championship Division in match play at the 84th Alabama Women’s State Amateur tournament. 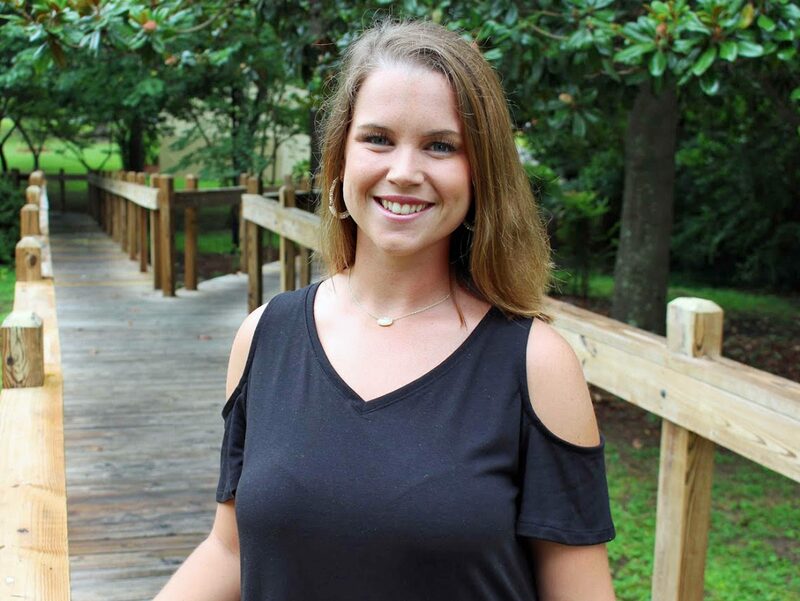 LeeAnn has worked for Robert Trent Jones golf courses part-time while in college at Huntingdon.